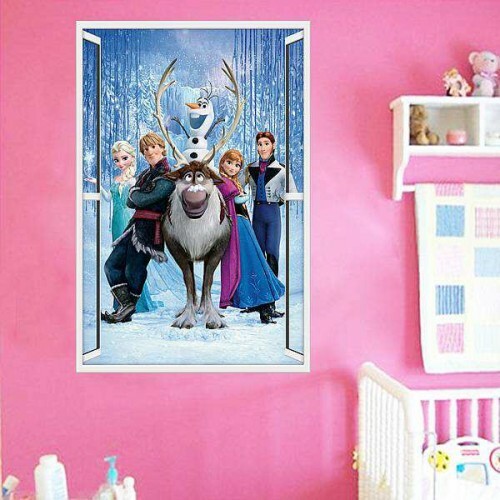 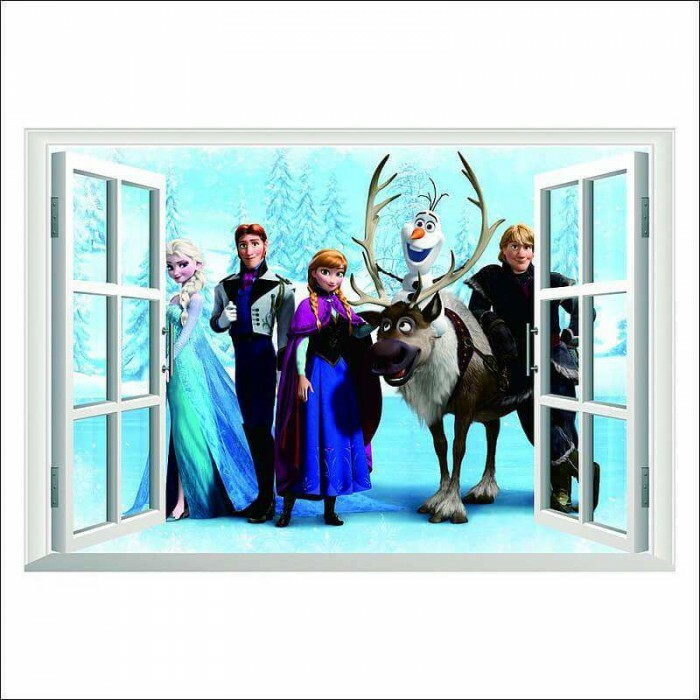 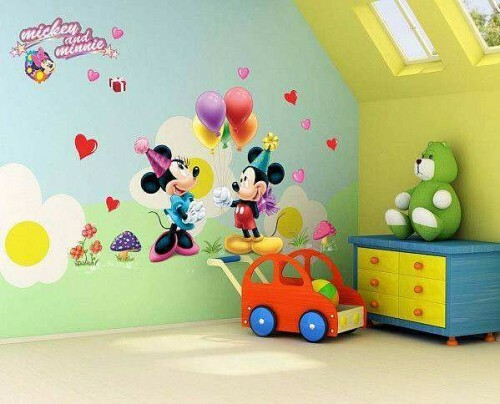 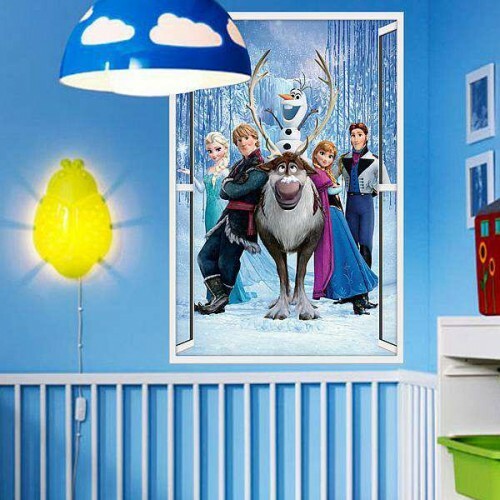 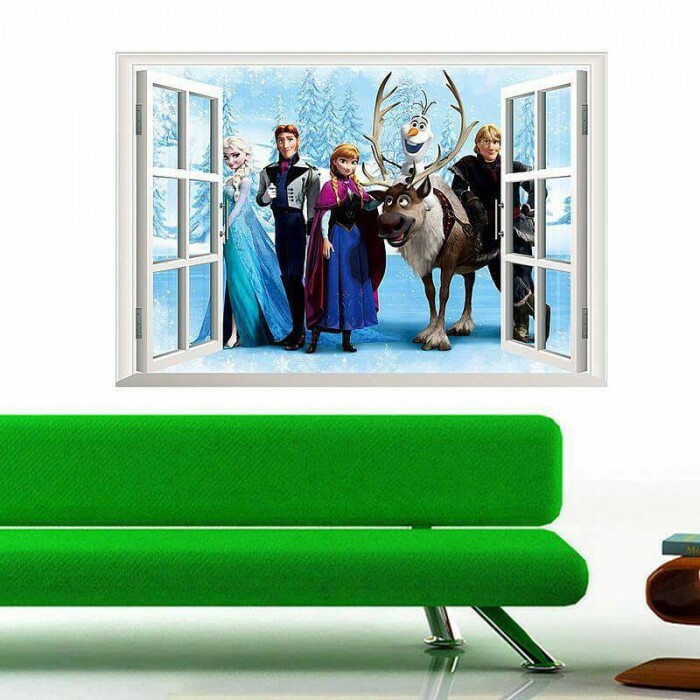 Anna, Kristoff, Sven, and Olaf burst through the wall in our fun vinyl 3D Frozen wall sticker. 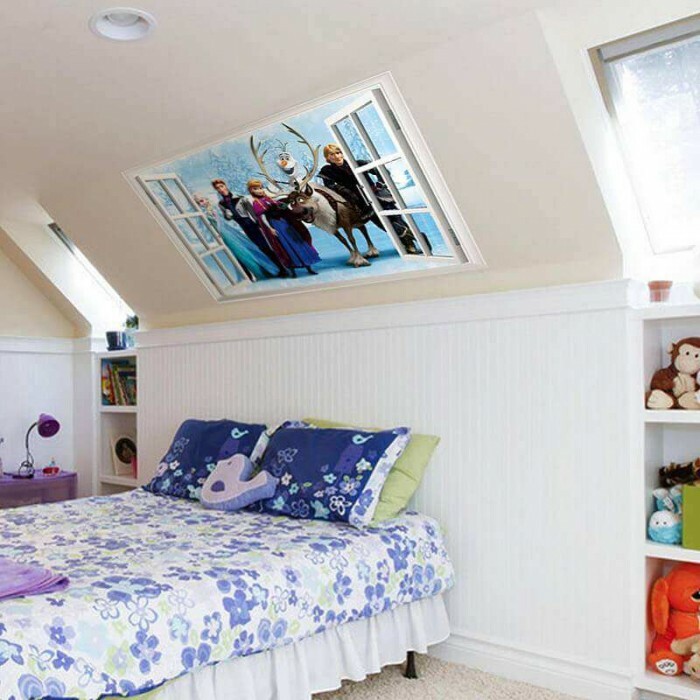 When your kid gets excited about the movie, surprise them with this bedroom decoration. 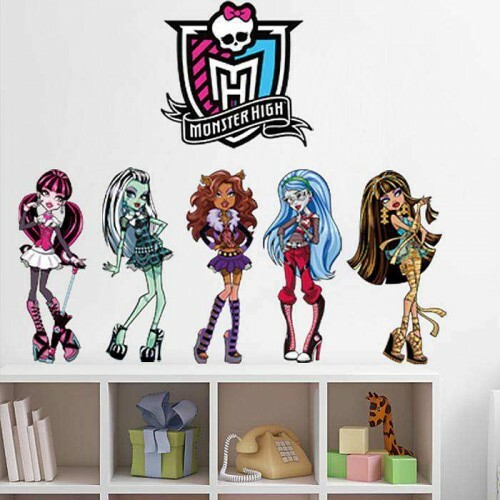 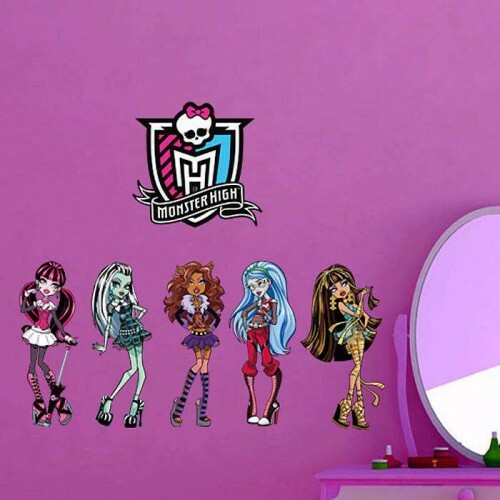 This sticker matches any wall color or design you currently have. 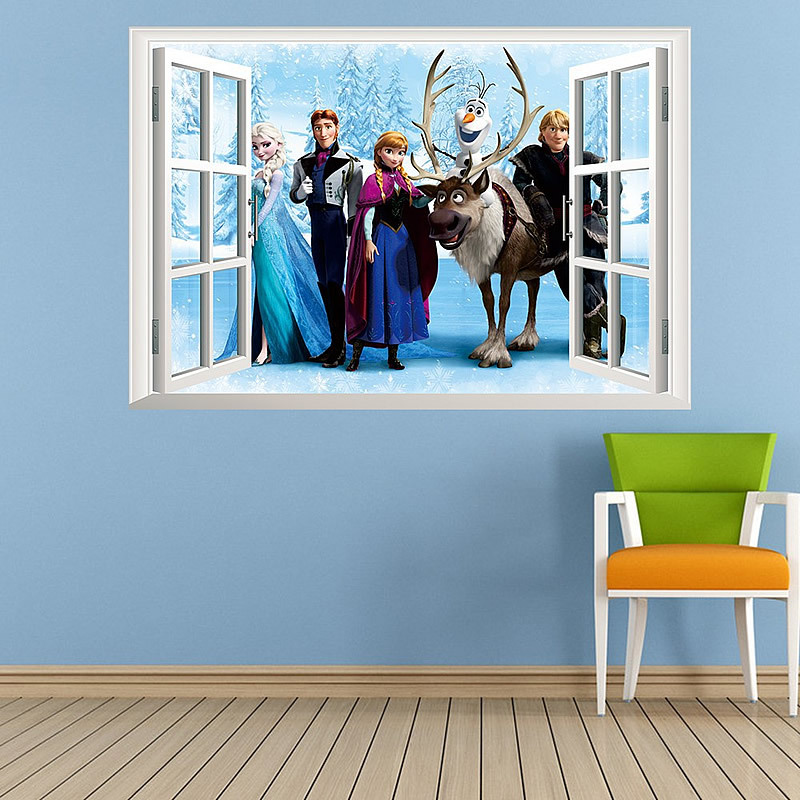 Our Frozen wall decal is perfect for wardrobe doors, walls, and windows, and can be installed in minutes thanks to its self-adhesive backing. 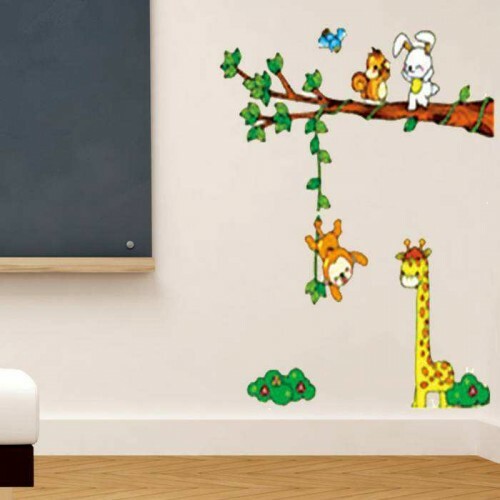 Don’t worry about when the time comes to take it down, because our stickers don’t damage the surface they were on, no matter how long they were applied. 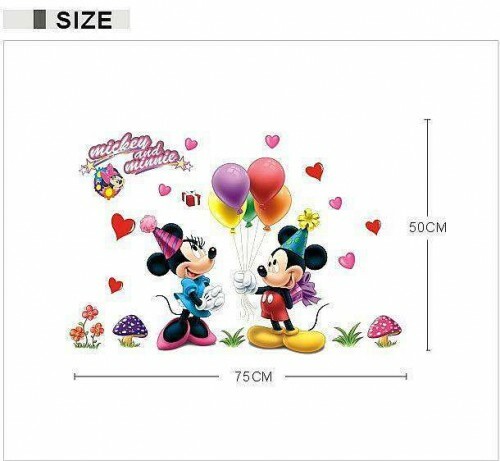 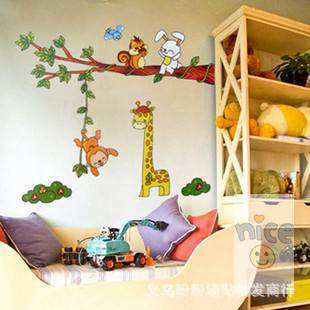 Size: 60cm x 60cm.